Have a new roll table this week, roll for Madness. 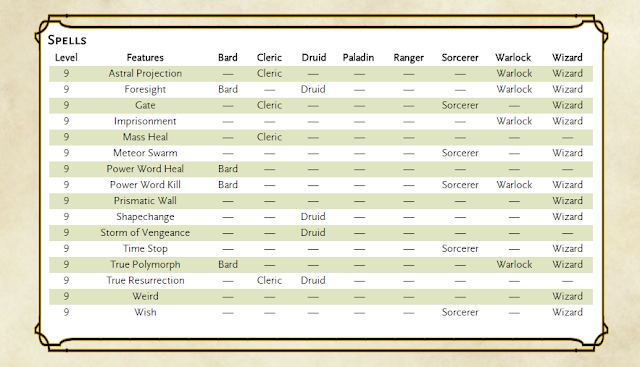 I made this table for an upcoming adventure that goes a little more in-depth than blog posts have here in the past. The adventure takes place in Limbo, the plane of chaos. The players in that adventure will find themselves floating lost in the chaotic soup that is Limbo, some of them will have surely developed some form of delusional madness in that time. 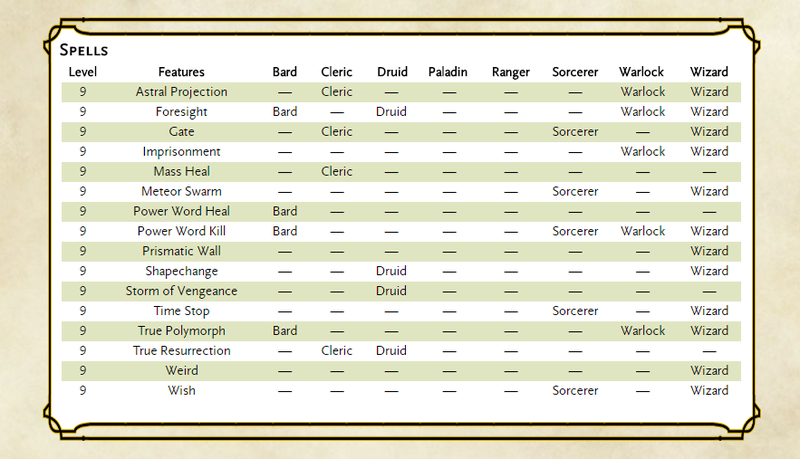 This table can be adapted for whatever you need, but in my adventure Lawful characters are more susceptible to the madness caused by Limbo, while Chaotic characters are less susceptible. 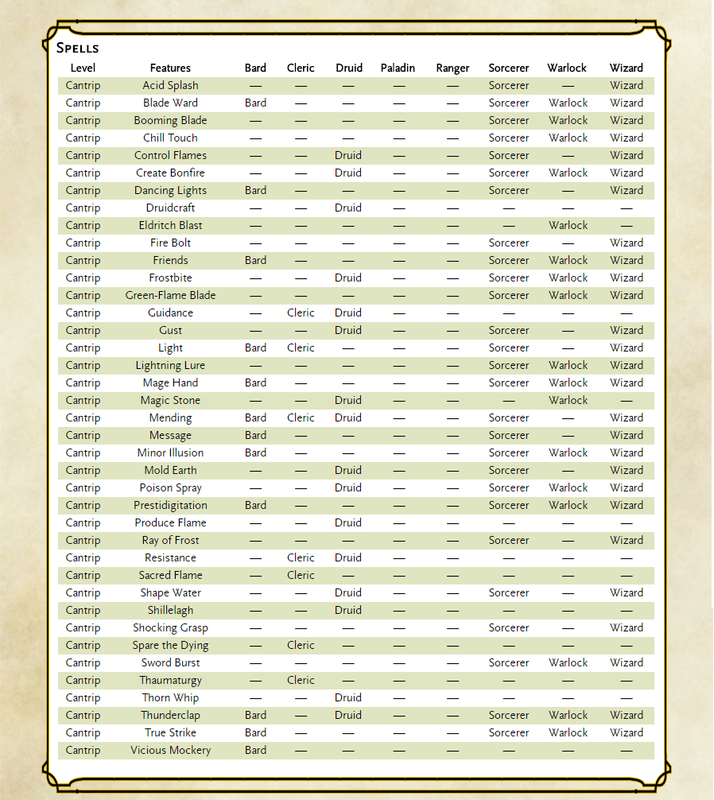 Depending on your table the madness can either be temporary (a day or two), or last until the character seeks some sort of treatment, be it magical healing like dealing with a curse, or coming to terms with their delusion through the help of their friends. I've mentioned before how much I love online tools. In fact I have four previous blog posts (Saturday Grab Bag - 3 Online Tools, Saturday Grab Bag - Online Tools #2, Saturday Grab Bag - Online Tools #3, and Helpful Online Tools #4) detailing many tools that I use personally to prepare for my campaigns. Lately I have been trying to incorporate more dungeons in my games, so in honour of that here are three online tools that are great for creating a dungeon. This website compiles 133 black and white dungeon maps created by Tim Hartin and licensed under a Creative Commons Attribution. They're fine to use as long as you aren't trying to make any money from them, and you attribute them back to Tim Hartin. These maps really fit my style of dungeon play. They are essentially devoid of themeing, meaning they can be plugged into nearly any campaign. I would highly suggest printing a few of these off in case you need a quick dungeon at your table. I have mentioned donjon before, but it is worth repeating because of how many incredibly useful tools they have. 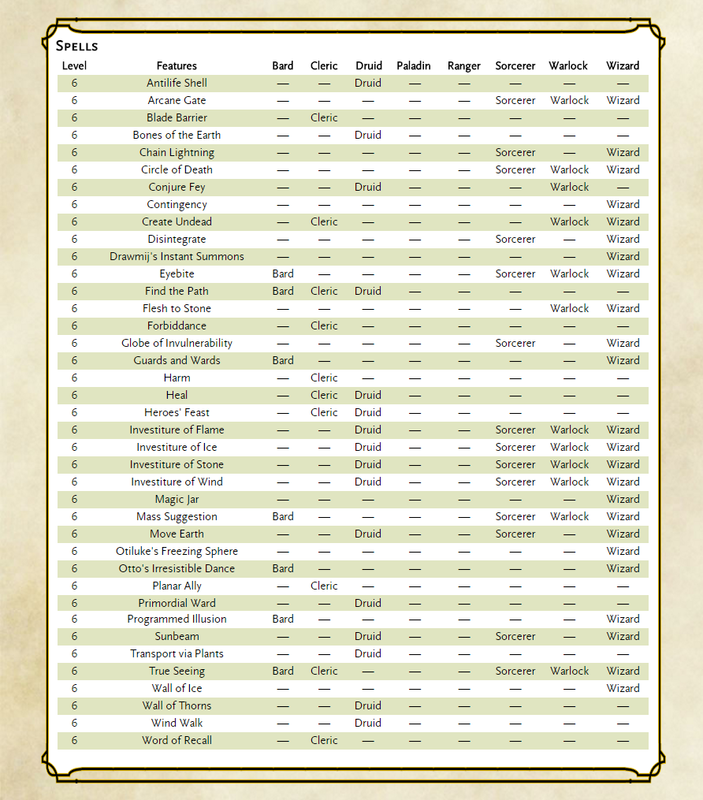 This tool, as well as other tools for other versions of D&D (or a more generic, rules agnostic) is a wonderful tool for generating full dungeons at the click of a button. 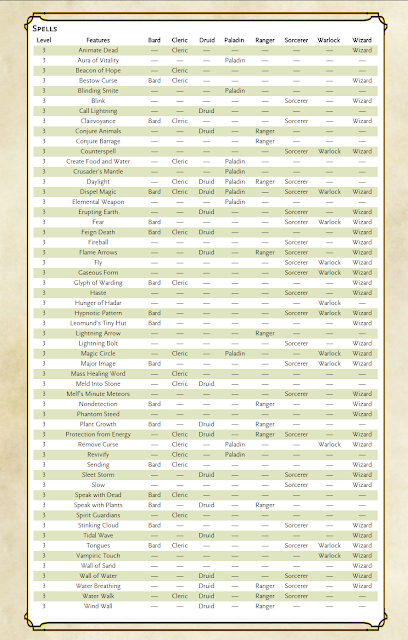 Fill out some simple information like size, shape, character level, and party size, and it generates a fully-fledged dungeon complete with map, wandering monsters, traps and treasure. 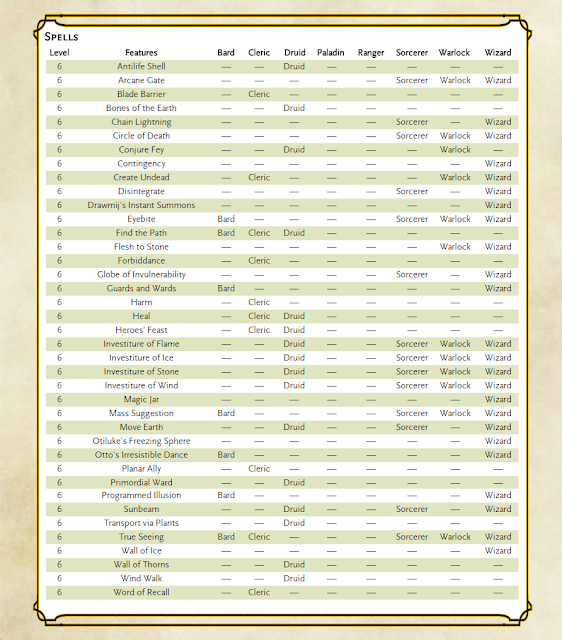 Many dungeon tools create maps that feel somewhat sterile, using the basic functionality of the Dungeon Master's Guide to create a functional map. While that can be helpful, Dave's Mapper solves this problem by using real, hand-drawn maps. These maps are broken into segments and randomly thrown together, connecting doors and hallways, to create a map that is more interesting than the sum of it's parts. Each segment can easily be rotated, moved around, or replaced, making it customizable in a way our other two tools lack. If you are to take anything away from this blog post, it should be that Dave's Mapper should be added to your campaign-planning arsenal, in order to become a true Master of Dungeons. Like all Non-Combat Magical Items on MasterOfDungeons this article should be taken as inspiration, not a rule of law. You are the master of your own dungeons and you should modify and change anything to fit your table and your world. Always try to modify any RPG ideas you find, it will make you a better Master of Dungeons, as well as make everything better suited for your players. A Universal Registrar exists for each plane, and demi-plane in the multiverse. This large, yet not unwieldy, tome contains the recorded birth and death dates of every sentient, named, being in the realms. It is kept in chronological order, grouped into two sections, one for deaths and another for births. It is updated in real time, as beings are born and killed. Although the number of births and deaths throughout the ages reaches near uncountable on many planes, the book is always the size of a fairly large textbook, and someone who is attuned to the book can find the names and dates of whoever they are looking for fairly quickly. 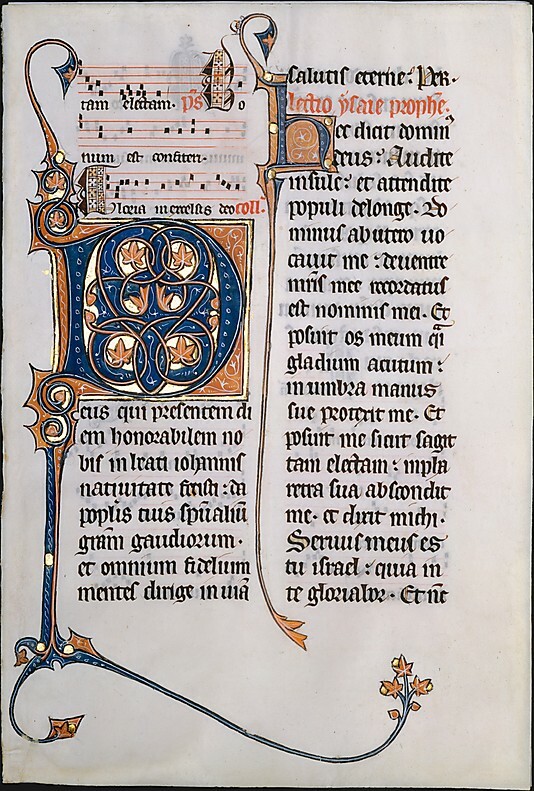 Scholars are unsure of how this works, as the pages do not turn automatically, nor appear to change in contents or appearance. The tome is unable to leave the plane of it's origin. If it is destroyed it will appear elsewhere in the plane. The deaths and births appear immediately as they happen, but do not appear before that, meaning the book cannot be used to make predictions about the future. Children born without a name will be written in the book upon being named. If no name is given before their death, they will never appear in the book. A small group of cultists have devoted their lives to the book. They are all purchased as slaves before birth from pregnant mothers who are instructed to never name the child. They are often employed by the wealthy to confirm the deaths of enemies, allies, and political rivals. Bounty Hunters and Assassins also sometimes purchase notarized certificates to present to their employers to prove that a kill has been accomplished in cases where a body cannot be transported. For my own purposes I have created these little reference sheets as an easy way to see which classes can cast each spell. Grouped by level. Share or print these as you like. 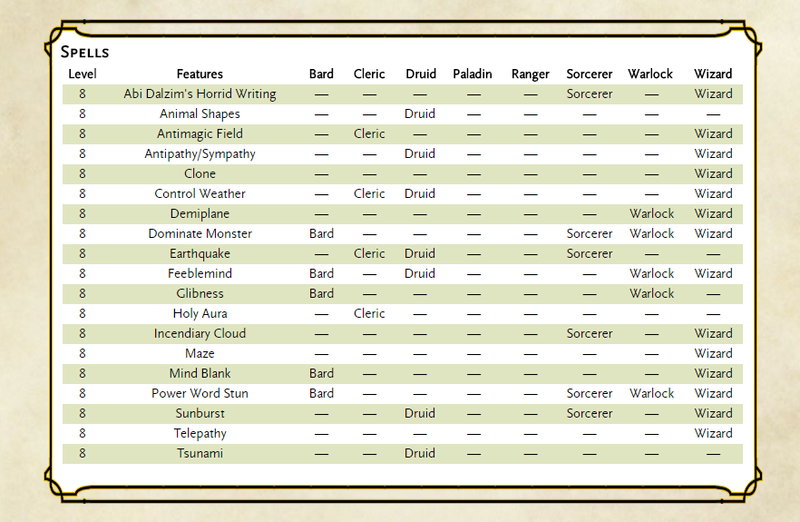 If you can easily attribute them to MasterOfDungeons.blogspot.ca that would be awesome, if not don't worry about it. An imgur album of the pictures can be found here. Enjoy. Most towns of any decent size have their own marketplace. In addition to any bakers, potion dealers, and blacksmiths there may be some shops with a slightly more niche target market. 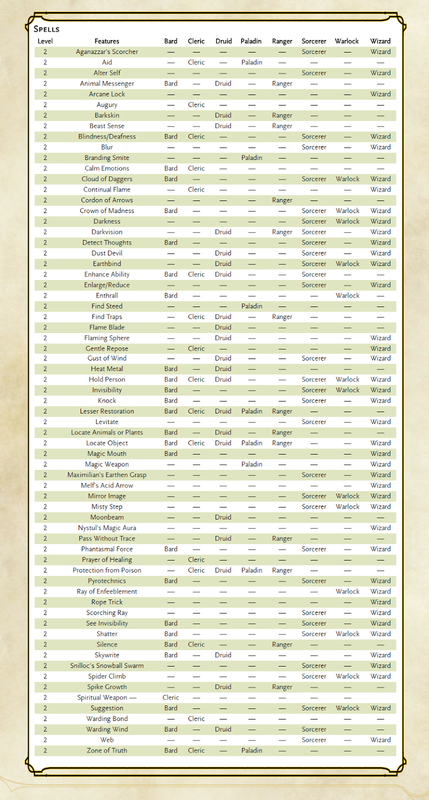 Roll a d20 against the following table, or pick as you see fit. 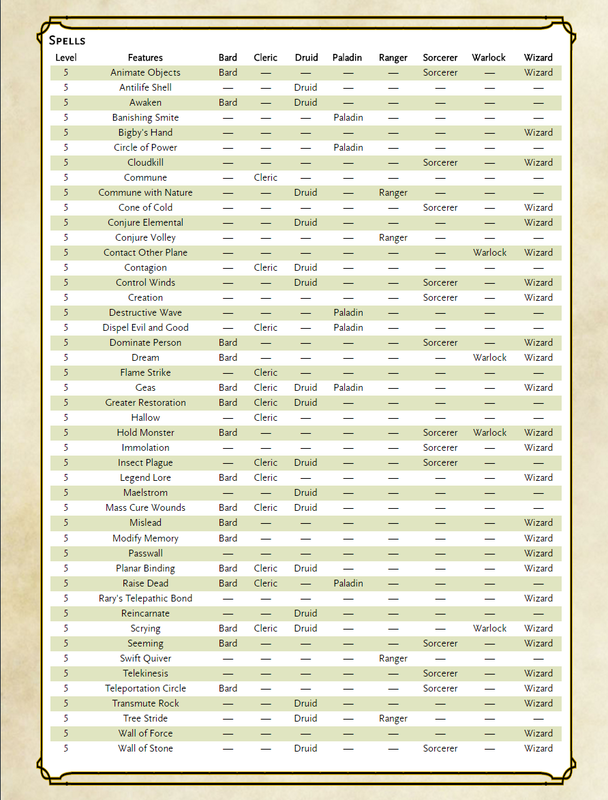 *Signal Tomes are a Non-Combat Magical Item explained in a previous blog post here. I'm back! Master of Dungeons is back again, with hopefully pseudo regular updates to help you to achieve the respectable title of Master of Dungeons. This week we discuss how you don't really need to prep for your game sessions. This has been discussed previously on the blog, most recently in this Quick Tip about DMing and Improv. I'm a big advocate of improv as a DM. I see far too many Dungeon Masters spend hours and hours prepping a weekly game of DnD. This is fine, if you enjoy preparation, but it is completely unnecessary. I cringe every time I see a DM burn out from session prep, and cause his campaign to fizzle out, because it is completely unnecessary. Not only will overly prepping your games cause you to start dreading your favourite hobby, but it doesn't improve the game. If anything it limits it by causing you to railroad your players, else your preparation be for nothing. I'm not saying you shouldn't have a basic idea of what you want to accomplish in a session, or in a campaign, but that is the sort of high-level preparation you can do while commuting or waiting in line at McDonalds. Complex maps and encounter preparation, and just generally planning out everything that will be done in a session is completely unnecessary. 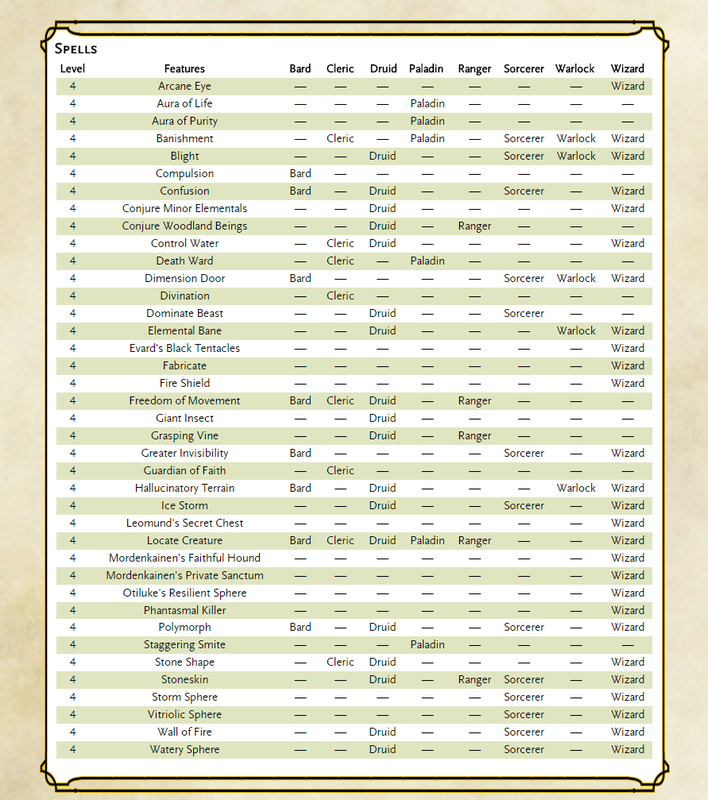 In the blog's first ever Online Tools post I wrote about Kobold Fight Club. This website is the single greatest tool in a DMs toolbox. Before each session I muck about in this tool, writing down a few enemies that are a good level for my players level and numbers. I write down about how many of that enemy would make a good medium or hard encounter, and the page number. You can filter based on type or keywords, so it is effortless to create a handful of easy encounters in minutes. Sunday morning I had a session to run for my secondary group on Roll20, we hadn't met in three weeks and the group was just travelling without much planned. I was able to create a nice four hour session using only Kobold Fight Club, the Dungeon Master's Guide, and my own improv ability. I hadn't run a dungeon yet with this group, so fifteen minutes before the session I thought this would be a good time for one. I searched the easy to use Roll20 site for a small dungeon map, although you could find one anywhere online. I decided that this dungeon looked like it might be occupied by undead, so I needed a reason for the players to enter the dungeon. I flipped through a couple NPC ideas I had rolling around in my head and landed on Professor Cogsworth, a gnomish professor who studies engineering and the manufacture of extravagant artifacts. I decided that he might have a brother, who is also a professor of sorts, but studies magic instead of the physical. Perhaps Cogsworth had come across some sort of magical question and needed to talk to his brother about it. His brother of course had a sort of magic laboratory in an underground dungeon because it had the proper combination of ancient arcane runes and triangulation of ley lines. 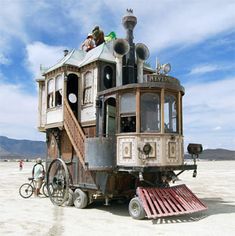 The party would encounter a strange cart, it would stop in front of them and attempt to hire the party to investigate his brother's laboratory. Cogsworth had seem some sort of skeletons and gotten spooked and he needed the party to clear the place out and help his brother, who he assumed had been gnome-napped. For good measure I threw in a weird nerdy professor mixed with a stuttering yoda speech pattern, and he felt like a full-fledged NPC. 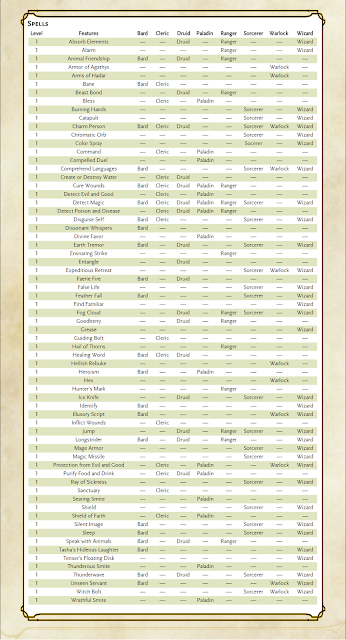 In the dungeon, I used the highly useful Random Dungeon tables near the end of the Dungeon Master's Guide. I tweaked each roll as I saw fit to better match the visuals and style of the dungeon and my group. Kobold fight club help me quickly populate it with Ogre Zombies, Gargoyles and Spooky Skeletons, and the party found a pair of true-sight glasses before nearly dying to Yellow Mold. I actually lied to you at the beginning of this session, I said it took me only 15 minutes to plan a 4 hour session. 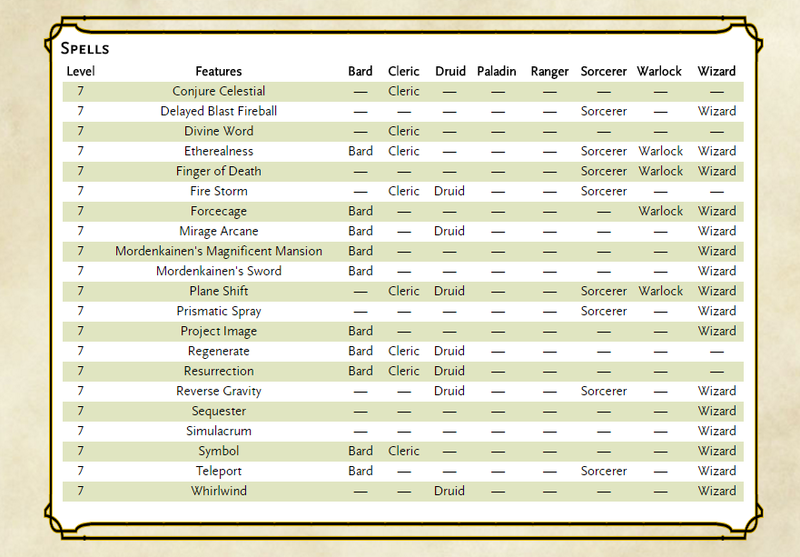 In actuality the dungeon was only half-finished, so it only took 15 minutes to plan 2 sessions. 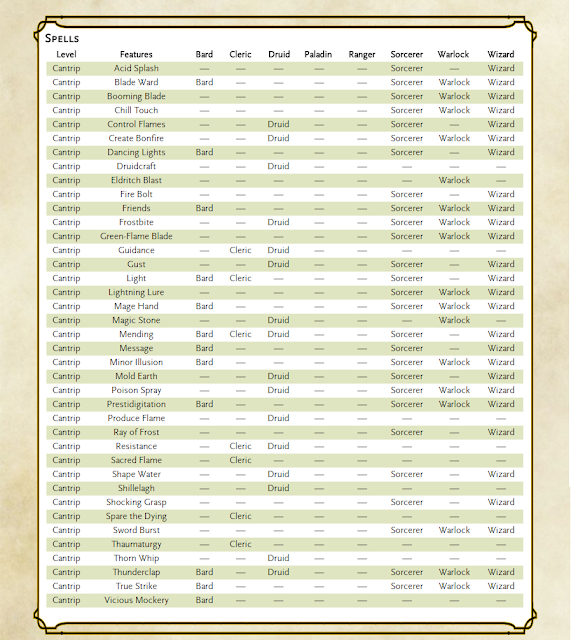 Try out this kind of planning at your table, and I guarantee your game will be just as fun, if not more, and you'll save yourself the headache of planning a long session. 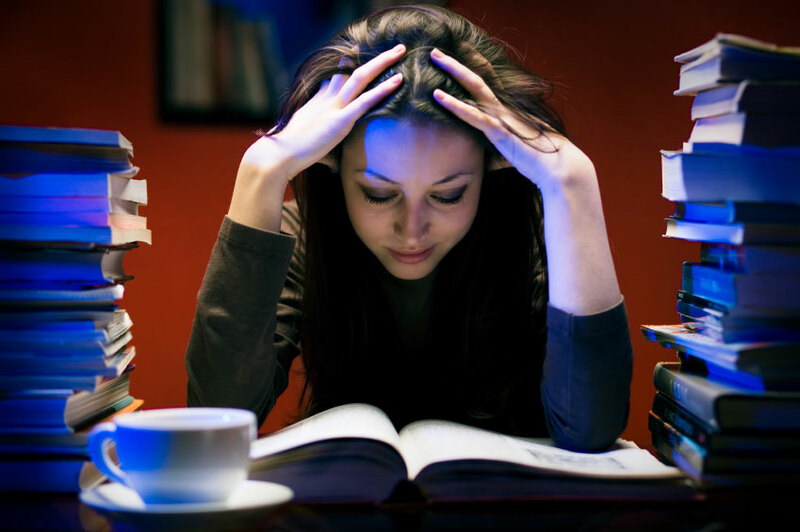 Don't be afraid to tweak any results from a random table, and if you have any spur of the moment ideas, throw them in. Improvise, and have fun.